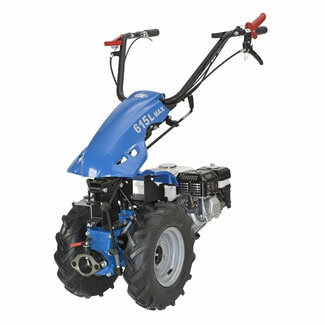 The BCS 615L Power Unit is a compact machine capable of operating three snow clearing implements. Snow Blower (60cm) – Suitable for blowing snow 50cm deep over 15m in distance. Snow Plough (100cm) – Simple and effective plough for moving larage amounts of snow. Snow Brush (80cm) – The Snow Brush clears snow up to 10-15cm deep leaving a clear and safe surface for cars and pedestrians to walk upon.